Send the Full paper & Abstract to Easychair submission System. (.pdf only), contact with us if you have any questions. 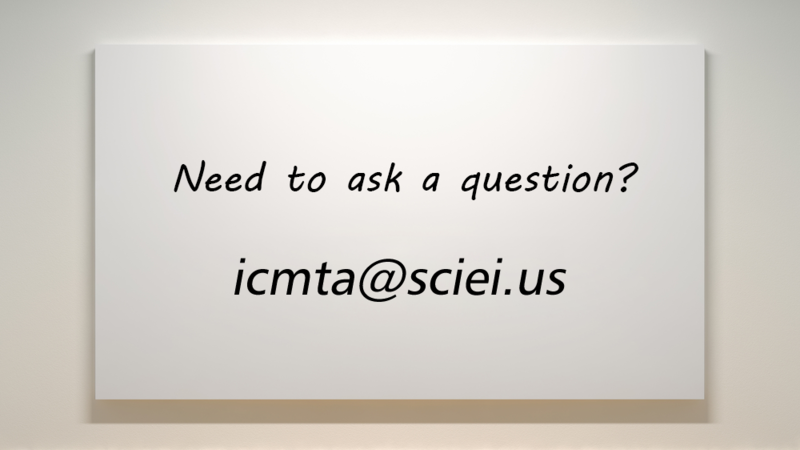 ICMTA will not accept any paper which, at the time of submission, is under review, is accepted for publication, or has already been published in another conference or a journal. Authors are also expected not to submit their papers elsewhere during the ICMTA reviewing period. ICMTA is utterly intolerant of plagiarism. Submitted papers are expected to contain original work executed by the authors with adequate, proper and scholarly citations to the work of others. It is the job of the authors to clearly identify both their own contribution(s) and also published results / techniques on which they depend or build. Reviewers are charged to ensure these standards are met.